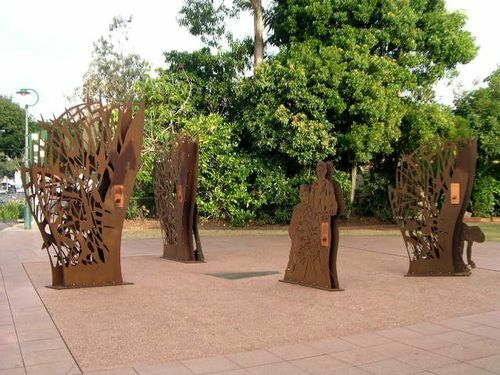 The Kanaka Memorial commemorates the unique contribution made by the Kanakas in the early years of the sugar industry in Queensland and how they helped build a multi-million dollar industry. The main memorial is a three dimensional walk through series of structures with written text to complete the story. Between 1863 and 1904 some 50,000 Kanakas were “blackbirded” from the Polynesian Islands to labour in the Queensland cane fields. Approximately 14,800 of these were located between Bundaberg and Maryborough. They were harshly treated, suffered disease, poorly fed and death rates were 400% higher than white Australian workers. Despite these terrible conditions they helped forge the Australian sugar industry which has since its inception played a major role in the economic development of Australia.